Factory number indicated thickness (inches). 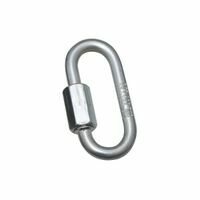 Designed for fast, easy connections between two lengths of chain or for attaching accessories to chain. Hex shaped bolt for easy opening. Steel body construction. 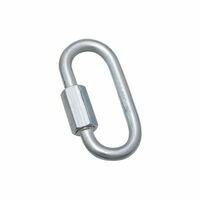 Steel construction with threaded nut.